Our own Amber Bharoocha just discovered she passed the BCBA Certification Exam, which was administered January 31!!! We are all very proud of Amber for achieving this very important milestone! HOORAY!!! Autism in Emergencies: LIFE SAVING Information!!! NEWS FLASH!!! The newest Hayden is a Kocher!!! Logan Kocher was delivered this morning, 8 lbs. and 21 inches! We all wish Dena and Josh, and the entire Kocher and Kaplowitz families our heartfelt CONGRATULATIONS!!! Hayden Consultation Services has created its Facebook page so that updates from our website can be sent out to those who want to follow our work! 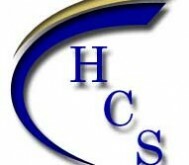 Please follow our link: http://www.facebook.com/pages/Hayden-Consultation-Services/208333552596254 And “Like” us!